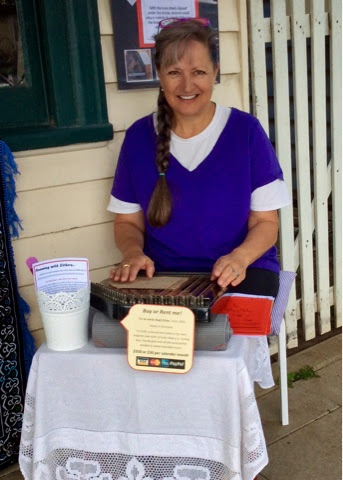 Running with Zithers........: Playing outside the Historical Society's Shop! 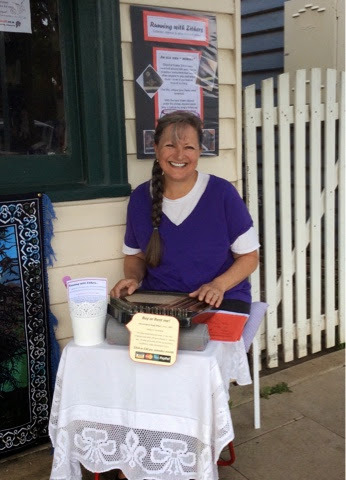 Playing outside the Historical Society's Shop! Well, where else would you play an historic instrument? It was good fun, a bit nerve wracking, but a valuable experience AND the zither went home with a new Zither Runner. The word is spreading.